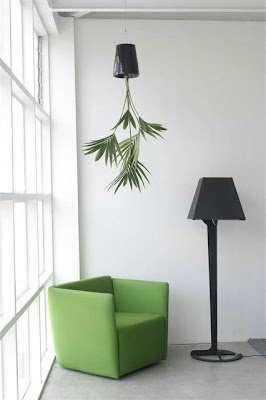 Boskke - Sky Planter allows you to grow plants upside down inside your room and it comes from New Zealand. Some may not like the idea, but the system nonetheless is decorative, practical and original! It conserves water, uses up to 80% less water than conventional planters. And also it saves space and time too; all you need to do is to water your plants once a month. 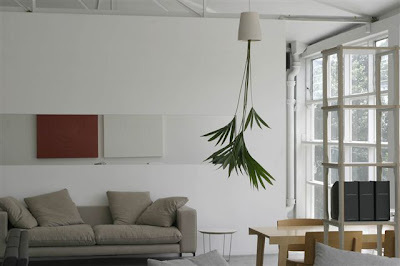 A plant that is upside down is sure to fascinate the attention of your guests and you don't need to worry about it as its secured. And the best thing is it requires less attention than the traditional pots as the water doesn't evaporate, its internal storage system provides water directly to the roots. It also saves floor space, and is a practical solution for modern living areas with little space.